And now for something different from My Sequined Life…a quick weeknight meal! Joking. A 30-minute meal to be specific. I’m positively hooked on these speedy weeknight meals and just can’t stop. Any extra time I can grab in the evenings after work to plant myself in front of the TV and soak in a little extra Bravo is to be savored. 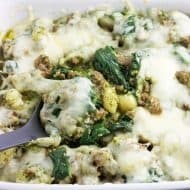 This 30-minute meal is special (in ways beyond my latest food crush – hot Italian sausage) because it is the first of a series! The first Thursday of every month, myself and a fabulous group of bloggers will be sharing a 30-minute meal recipe. School is back in session nearly everywhere and inevitably everyone’s schedules gets busier. Even if you don’t have anyone in your household that attends school and your definition of ‘busier’ happens to be really digging the fall prime time TV lineup. More time in the evenings is a good thing across the board, right? 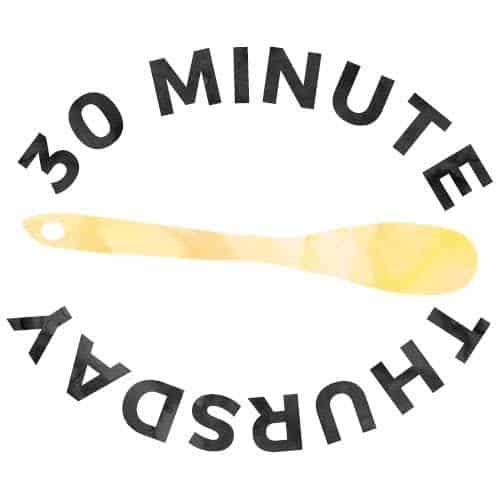 Scroll down to the bottom of the post to check out all the links to our first 30-minute meal compilation! Soooo that brings us to these Italian Sausage Quesadillas. The tortillas of your choice are filled with spicy Italian sausage crumbles, roasted red peppers, mozzarella cheese, and an assortment of other Italian flavor VIPs, all served with a warm marinara dipping sauce. 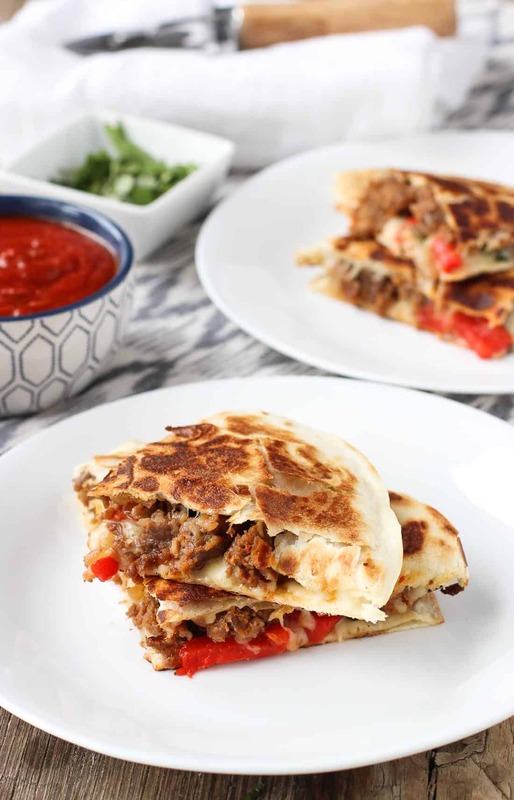 For me, anything featuring Italian flavors counts as a total comfort food, and these quesadillas do not disappoint. Ever since rediscovering my love for Spicy Sausage Fettuccine with Basil and Parmesan a few weeks ago, I’ve been stocking up on hot Italian sausage (seriously, you should see my freezer…) and methodically planning all the recipes in which I can use it. a.k.a. I’m going to use it in all the things. These quesadillas fall under the category of dishes I’ve been throwing together for years when I’m fresh out of ideas or a whole bunch of time to make dinner. 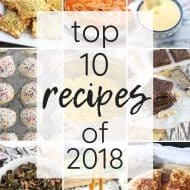 They’re also sub-categorized in the group of recipes I make frequently which for the life of me I cannot remember to share here on the blog. Why is that? I KNOW I’m not the only one who likes tasty, quick, and customizable main dishes. Quesadillas are pretty simple to make. Cook meat, chop veggies, shred cheese, assemble, and cook on the stove top. I think the hardest part of the whole process is flipping the quesadilla in the skillet without losing the filling. Missing out on any iota of deliciousness these quesadillas have got going on would be sad. Either pork or turkey Italian sausages can be used here. Use what you prefer. Each Italian sausage link is approximately four ounces. This recipe calls for sixteen ounces (one pound) of Italian sausage. If you’re able to find one pound of ground Italian sausage that’ll cut down on a step. Here are 15 more 30 Minute Meals ready for your next weeknight! Alyssa, it looks perfect and tasty! Can’t wait to have this anytime of the day, love it! Alyssa, , this looks really good! I think I need to make these for myself and the kids. Love this idea! These are so yummy! 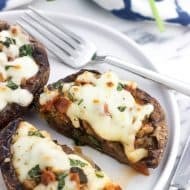 Love switching it up from our normal chicken quesadillas! Holy cow these are amazing! Fantastic flavor combo and total comfort food! What an amazing idea! I tweaked it a bit by using spinach wraps! Thanks hun. These look so awesome!! I love making quesadillas as an easy weeknight meal, and I LOVE the combo of flavors you used. So yummy! My quesadilla consumption goes WAY up the second work gets a little hectic. I have no complaints about that, especially when I have Italian sausage on hand. Quick and easy – thanks Jess! I love quesadillas but I’ve never thought to add sausage to them! 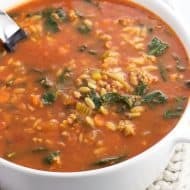 This is one 30-minute meal that I can see myself making again and again! Thanks Kristine! I bet you will love them. I’m totally obsessed with Italian sausage, too! It adds such amazing flavor to everything, so I can only imagine how tasty these quesadillas are! Yessss I’m still obsessed with Italian sausagse. So easy to brown and throw in anything and everything. Like my rice bowl tonight. 🙂 Thanks Denise! Haha extra added kitchen challenges. I bet you could do it! 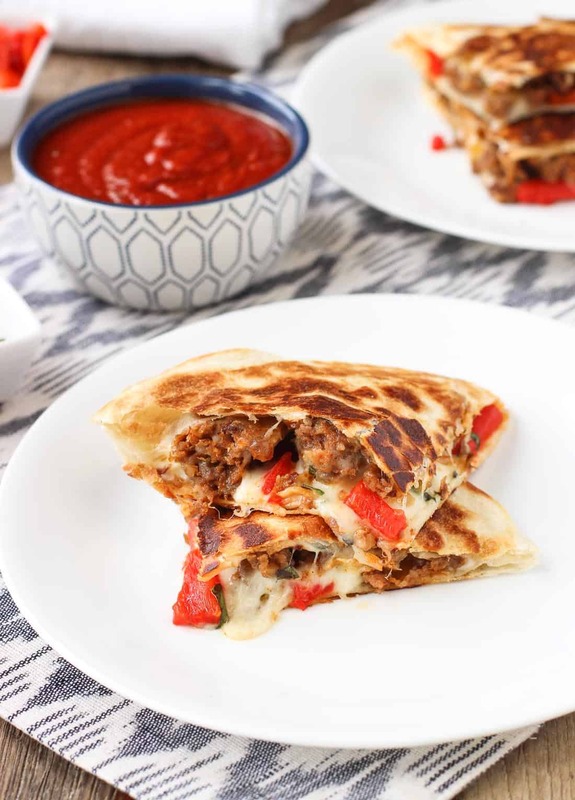 Quesadillas are totally my go-to dinner, but I’ve NEVER thought to stuff ’em with Italian sausage! You can bet the next time I’m cramming to get dinner on the table, these winners are gonna be on the menu! I do like to make dishes that take more time to prepare – if I have a babysitter and someone to do the clean-up for me, ha! Weeknights are all about fast prep, especially during the busy fall/holiday season! And Italian sausage in quesadillas? Sounds like something I’d just devour! These quesadillas are totally calling my name. I need to go buy some spicy italian sausage asap! These look great, Alyssa! Thanks Danielle! I’m getting hungry again (post-dinner…) just scrolling through and seeing them again! These quesadillas look downright delicious, Alyssa! 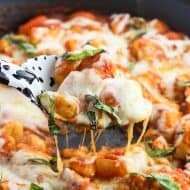 I love Italian sausage, and with fresh mozzarella and basil, I would be in 30 minute meal heaven! Thanks Marcie! It’s hard to go wrong with Italian sausage, mozzarella, and basil! These look perfect! 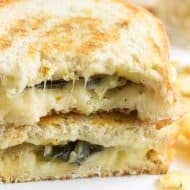 Love all that melty, gooey cheese! Now I am craving quesadillas in the worst way and it is only 9am!! Haha every time I look at these pictures I’m like oh I could eat that now…except it’s usually early AM or late at night. 🙂 Thanks Mariah! 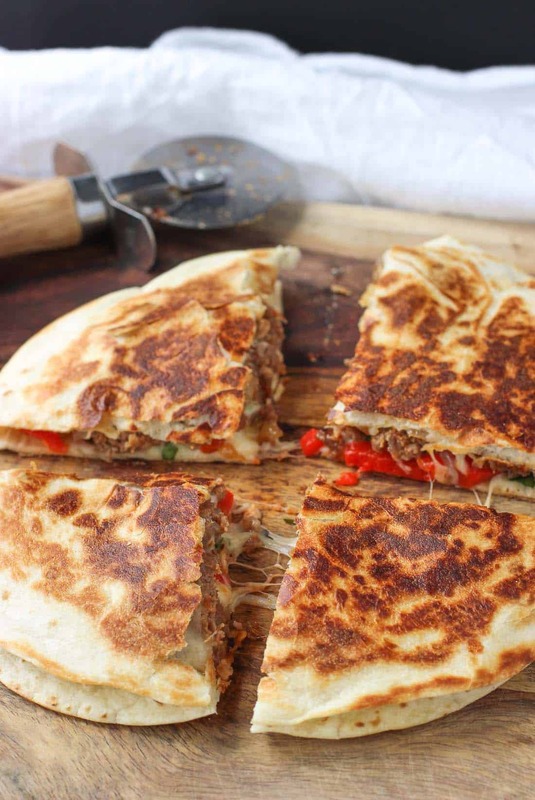 These quesadillas look fantastic! 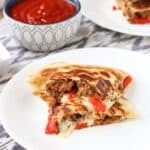 I’ve never put Italian sausage in a quesadilla before, but that definitely needs to change, they look so good! Wow do these quesadillas look good! I think I have a crush on hot italian sausage too, especially after seeing it in this dish! Love it!